The tie is one of four games to be televised live on the weekend of May 10-12 – including the first Bradford-Leeds derby for five years. The Rhinos’ first visit to Odsal since the Bulls were last in the Super League in 2014 has been selected as the first of two matches to be shown live on BBC1 – kicking off at 2.30pm on Saturday, May 11. It will be the West Yorkshire rivals' first meeting in the Challenge Cup since the 2003 final in Cardiff - and the Bulls will be the only club from the Betfred Championship to feature in the four televised matches, after securing their place in the last 16 with a golden-point fifth-round win against Featherstone Rovers. 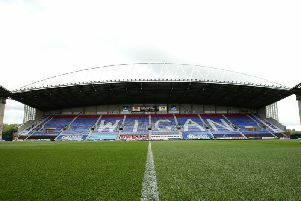 The BBC’s second tie, also to be shown on BBC1, will be the blockbuster between Warrington Wolves and Wigan Warriors at the Halliwell Jones Stadium on Sunday, May 12 (kick-off 2.15pm). The draw for the quarter finals of the Coral Challenge Cup will be held on Sunday May 12 and shown by the BBC, with further details to be confirmed. The draw for the first round of the Coral Women’s Challenge Cup will be held at St Helens on Easter Monday (11am), before Saints play Bradford in the Women’s Super League – with both the draw and the match to be broadcast live on the RFL’s Our League app (details below).